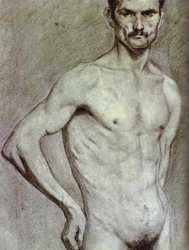 Some people think of James Whistler as a 'realist' painter. 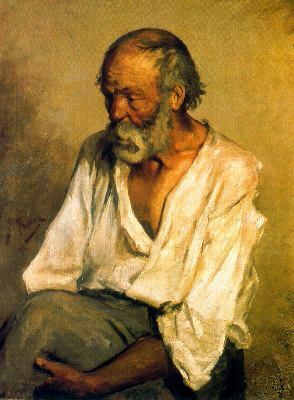 They call him this because many of his paintings look like 'things'. His paintings look 'real'. 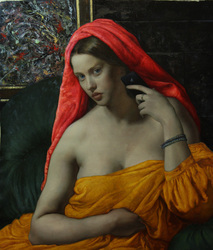 Some argue that Modern Art is a product of the 20th century and that Modernism is not connected to paintings that look real. But factually, Whistler was a first-rate 19th century avant-garde Modernist who was as controversial in his time as our contemporaries Damien Hirst, Tracey Emin or the Chapman Brothers. James Abbot McNeill Whistler was attacked by peers and critics for his concepts, his artworks, his spectacle and his personality. 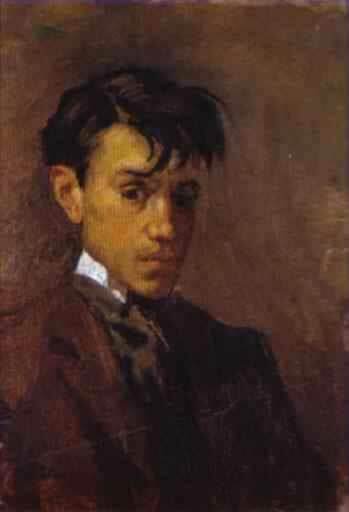 He was also a profoundly influential painter. His ideas for form and content became highly fashionable and they continue to influence our contemporary thought. Academics and classicists were angered by Whistler's haughty dismissal for the use of literary or intellectual ideas in a painting. Whistler promoted the Modern meme that painting is a purely visual language and should not 'be' about anything in particular. Whistler (along with others such as Oscar Wilde and Théophile Gautier) was a proponent of the theory that Art exists for “art’s sake”. He likened the visualness of painting to lyric-free music and named many of his paintings after musical terms such as "harmony", "symphony", "arrangement" and "nocturne." 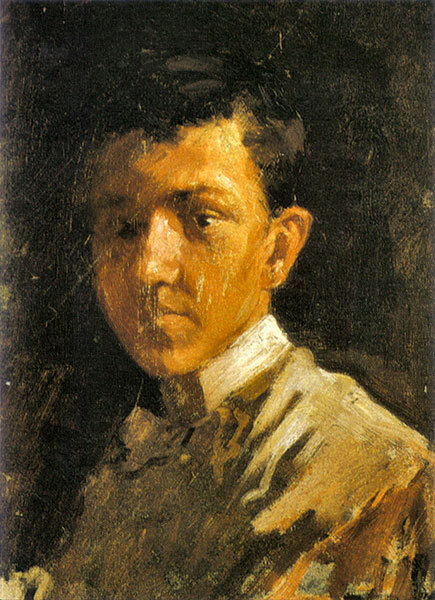 Kicked out of West Point, rebellious in manner, style, and dress and living with his mistress, Whistler provoked an early scandal with his 1861/62 painting Symphony in White, No. 1: The White Girl. 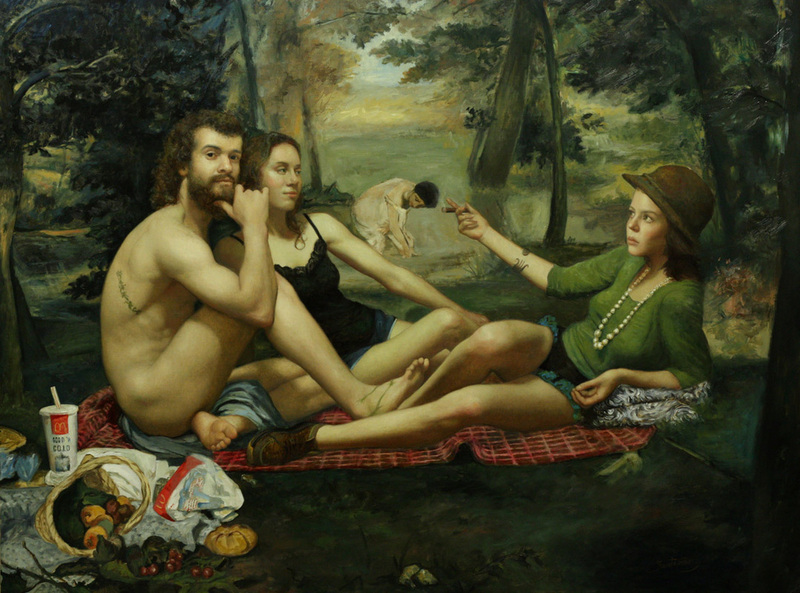 This painting was exhibited in the 1863 Salon des Refusés where it attracted more controversy than even Monet's Le déjeuner sur l'herbe.. Observing it today, you'd hardly understand why. To better understand some of the changes in visual art and society that occurred during the 19th century, research the history of those two paintings. Whistlers historical coup de grâce is his 1871 painting titled Arrangement in Grey and Black No. 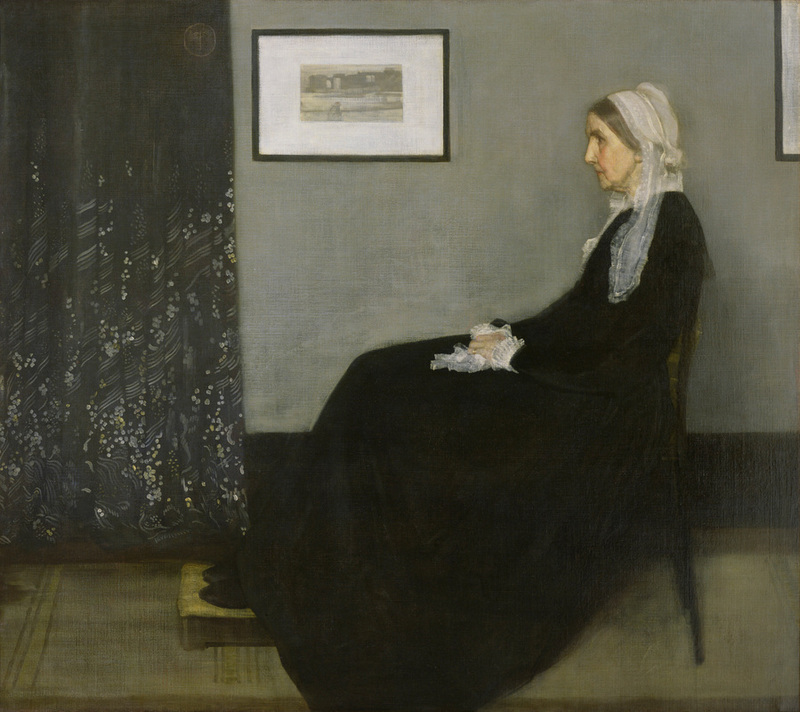 1, commonly known as "Whistler's Mother". 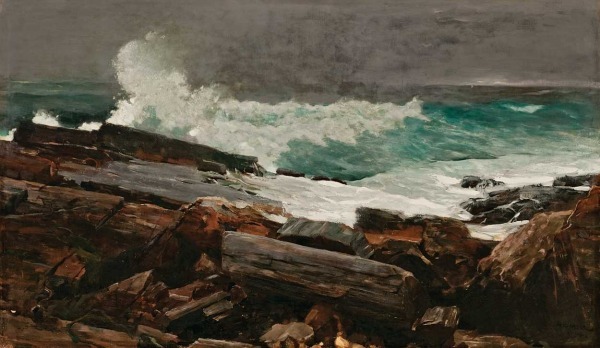 This painting has become one of the most iconic paintings ever produced by an American-born painter. It's been called the "Victorian Mona Lisa", but when it was first shown it was nearly refused by committee and described as a cold, empty and incoherent portrait. Critics ravaged the painting, in particular the stark and unnatural depiction. It's modern minimal tonal scheme reflects a contemptuous disregard for sentiment or the conventional color arrangements popular in the Victorian era. Whistler would soon, along with his concepts and paintings, clash head-on with another famous Modern art theorist and moral crusader of the time named John Ruskin. John Ruskin was a 19th century writer, critic and painter who unseated the Vasarian version for progress in art that had held court for the several preceding centuries. Ruskin wrote a series of volumes titled "Modern Painters" in which he offered a complex if sometimes self-contradicting philosophy of art. Substantially, Ruskin argued that the highest goal for a Modern painter should be the essential observation and expression of Nature as-is; to look into the very heart of Nature and to capture an 'impression' of it's "specific character" as contemplated through the artist's own temperament. Then to represent that impression just-so without manipulating it through convention, formulaic device or prescribed artifice. This approach to art making favored by Ruskin was decidedly anti-Academic, and anti-Classicist. Ruskin decided that the principles of Academic artifice and design were to be made subservient to Nature, instead of the other way around. Ruskin reached backward in time for a greater aesthetic value. In other writing, his architectural treatise The Stones of Venice championed Gothic Architecture as of a superior sublime spiritual purity, "greatness" by it's "strange disquietitude", as compared to the 'Beautiful' of the Classical style of Architecture. A study of his theories regarding Typical Beauty and Vital Beauty illuminates the nuances in his worldview. Ruskin's effort promoted interest in the Italian Primitive artists. He believed that while not as technically proficient as artists like Michelangelo, the efforts of many of the earlier primitives such as Giotto were more perfectly and authentically 'felt' and executed compared to what was done by later artists. Ruskin thought that the art production of the High Renaissance and generally anything made post-Raphael was mostly corrupt, decadent and deceitful. The values Ruskin offered were widely embraced by Victorians and inspired the Arts and Crafts Movement, as well a group of English artists who would call themselves the "Pre-Raphaelite Brotherhood". The painter that initially moved Ruskin to begin putting his critical philosophy into writing for the first volume of "Modern Painters" was J.M.W. Turner. Considered an icon today, Turner's paintings were not always well received by critics. Multiple paintings by Turner had come under fire. 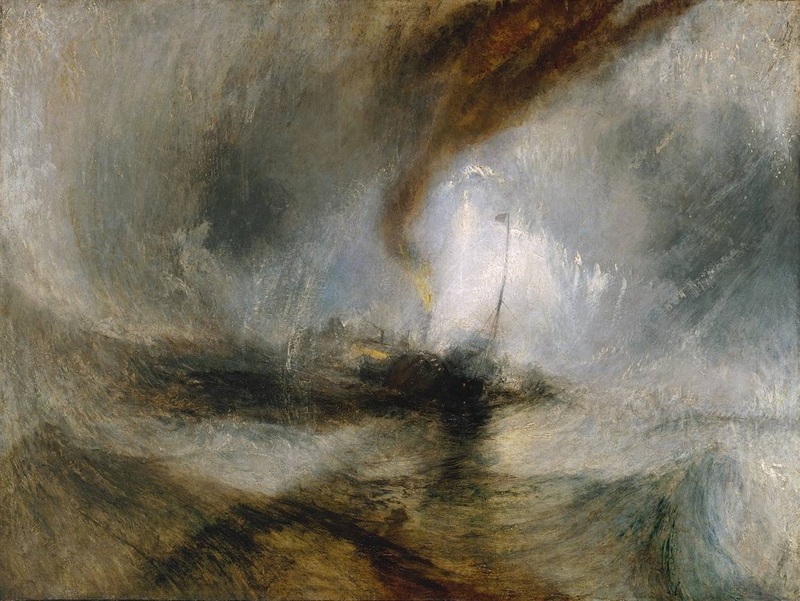 One painting exhibited in 1842 and called Snow Storm--Steam-Boat off a Harbour's Mouth... had been dismissed as "'soapsuds and whitewash". But Ruskin saw in Turners paintings the embodiment of his aesthetic theory, and he rose to Turner's defense. In the first volume of Modern Painters in 1843, John Ruskin praised 'Snow Storm--' as being "one of the very grandest statements of sea-motion, mist, and light, that has ever been put on canvas." At this point, Ruskin and Whistler do not seem so much at odds. Both rejected the rules and conceptual theory historically embraced by the Academics and Classicists. 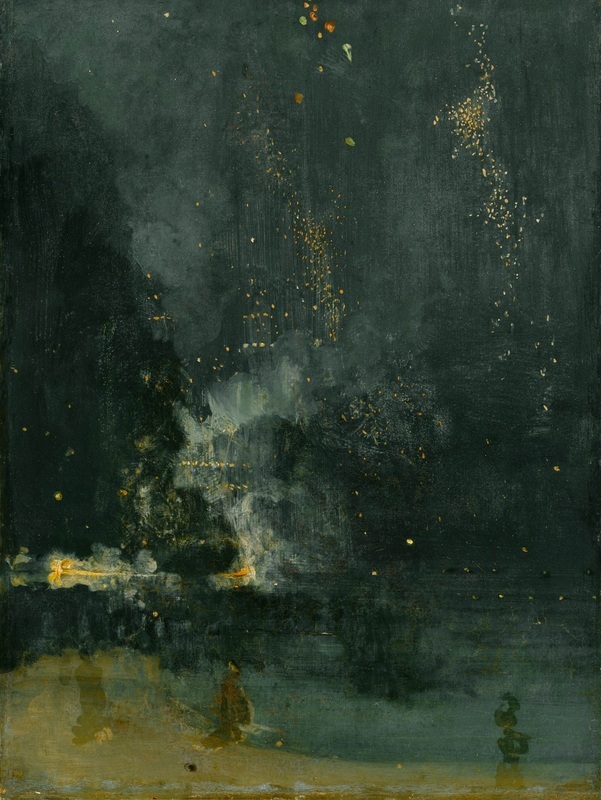 Below is the painting by Turner just mentioned, alongside a painting by Whistler called Nocturne in Black and Gold – The Falling Rocket. Click and enlarge these paintings. Do you notice any vast difference in form or content? How do they make you feel? 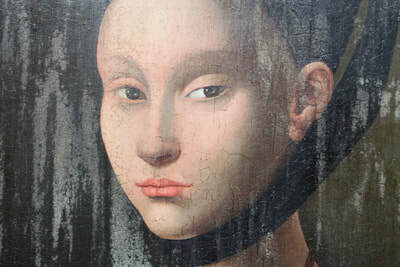 Are they as deeply different forms as, say, a Giotto compared to a Vermeer? This insult would result in a libel lawsuit being placed by Whistler against Ruskin. This article by Erin Landry "Whistler v. Ruskin: Morality in Art Versus Aesthetic Theory" details the event and it's cause. These two highly-visible 19th century Modern art advocates battled in 1878 not so much over 'form' itself, but because of a deep divide in philosophical viewpoint. What remains today from each of those two viewpoints is a muddled hybrid proposition that many painters today who consider themselves "traditional" or "classical" argue for when they champion 21st century representational painting as being in accord with an imagined linear historiography or 'point' of art. But this hybrid thinking isn't wholly accurate when applied to their imagined homogeneous principle that never actually existed. Because a piece of artwork is representational vs. non-objective does not by default make it "traditional", and certainly not automatically "Academic" or "Classical", in any sense of those terms. Prior to the 19th century, neither of these two ideas existed as stand-alone philosophies in support of art production. As systems, they are 19th century inventions. Art holds a history of ideas, the history of ideas as represented through their forms. The imagination and intellect of the creator, as well as the society that molded that imagination and intellect, is reflected in an art form. No art is 'idea-less'. Even Whistlers concept that a painting should be considered only for the pleasurable visual experience of abstract color and form and no other reason, is a specific (and at one time radical), idea. Today, you will often encounter the argument that 20th century Modern and Contemporary art are the culprits that destroyed 'traditional' art. It's often said 20th century art is all about 'nihilism', or the abandonment and rejection of "tradition" or "craft" or "Goodness". Some mockingly refer to the 20th century as the "age of 'ism's'". Some believe it's all the fault of people like Marcel Duchamp or Clement Greenberg. But when one encounters this type of attitude, you may be dealing with someone with incomplete knowledge of art-historical production and theoretical practice stretching back to the Early Modern period. More accurately, the century experiencing the most fracture in theoretical art production since the Quattrocento and that first produced the first multiple art 'ism's' was the 19th century. Beyond standard textbook fare such as "Impressionism" and "Realism", enough of these societal and artistic 'revolutions' occurred that the effect was to wholly unseat the four century reign of Academic Art production(c. 1500s–1900s). Much of this started long before the Armory Show, which was only a reflection of that change. The roots of Modern Art stretch back into the 18th century and earlier. A focus on the underlying causes of Romanticism and Naturalism developed strength in the early part of the 19th century, ultimately catalytic for the first art movements which were given names by observers. For one example of these events, consider the movement Les Arts Incohérents. That art movement took place five years before Marcel Duchamp was born. 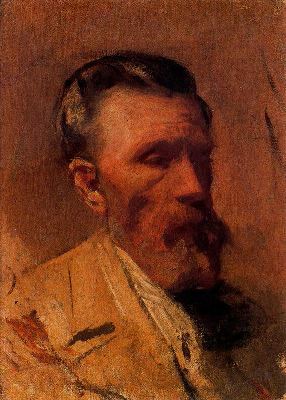 The two theories championed by Whistler or Ruskin each opposed the thought that guided the production of painters from Giotto to Watteau, It opposed the thought of their own relative contemporaries such as Reynolds, David, Gérôme, or Ingres. Whistler and Ruskin contributed to the abandonment of long-held Academic and Classical art theory and design principles established during the Renaissance, Baroque and subsequent eras. Both Whistler and Ruskin believed in a Modern Art, and both campaigned vigorously for a Modern Art, and their disagreement was over what a Modern Art should actually represent. Today we are witness to a revitalization of traditional atelier training occurring on an international level. Some proponents of this painting revival seek to support their efforts through public campaigns against the modern and contemporary art. However, when these painters campaign against Modern or Post-War Art to support the representational painting model they imagine aligns with historic Academic theory and practice, they often employ the Modern ideas of the 19th century. They proselytize using the arguments that led to the disintegration of the Academic practice they wish to defend. If you call yourself a 'traditional painter' or "classical realist", yet you believe that a painting should not have to be 'about' any literary concept or otherwise intellectual, then you are a devotee of the 19th century Modernism of James Whistler. If you believe that the epitome of representational art means capturing the essence of Nature as fervently, accurately and as essentially as possible, then you are a devotee of the 19th century Modernism of John Ruskin. If you are a 21st painter who imagines that you are working today according to a long-valued philosophy of art aligned with Academic principles or Classical theory simply because you paint "stuff that looks like stuff", you are mistaken. If you believe that a painting must represent the essence of Nature as accurately as possible, you are pursuing a Modern idea. If you think that a painting need only be about aesthetic pleasure of color, form and harmony and that it doesn't matter what you paint as long as it evokes emotion, you are a Modern Artist. If you work according to any of those concepts, regardless if your work is abstract or imitative or some combination, you're a contemporary Modern painter. Because these views are historically anti-Academic and anti-Classical. No matter what you call yourself, and whether you know it or not. 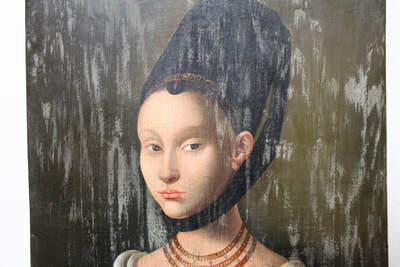 In the early 2000's, I acquired a painting from a dealer in the Netherlands. As a painter, I'm able to decorate my own walls. 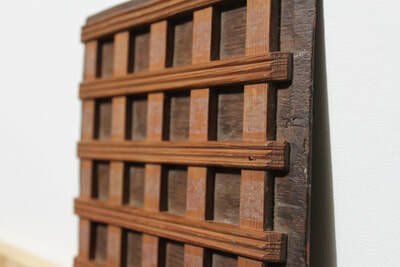 When I acquire art, it's because something catches my attention in an unusually stubborn way. It becomes something I must have. This was such a painting, and a slice of it can be seen above. It's a portrait. Before purchasing, I inquired about provenance, age, etc. Information was small, so was the price. When the painting arrived I was surprised by it's features. The construction is Flemish technique, which is part of it's charm. I assumed because of the subject and a few passages in the painting that it had been made as a copy from a museum piece. When the painting arrived, the crafting was of higher quality than I originally guessed. The painting was executed with perfect glazes and light scumbling over a soft pink ground. The ground shows through in various spots and was utilized in expert fashion to create the vibrant jewel like effect prominent in Flemish painting. 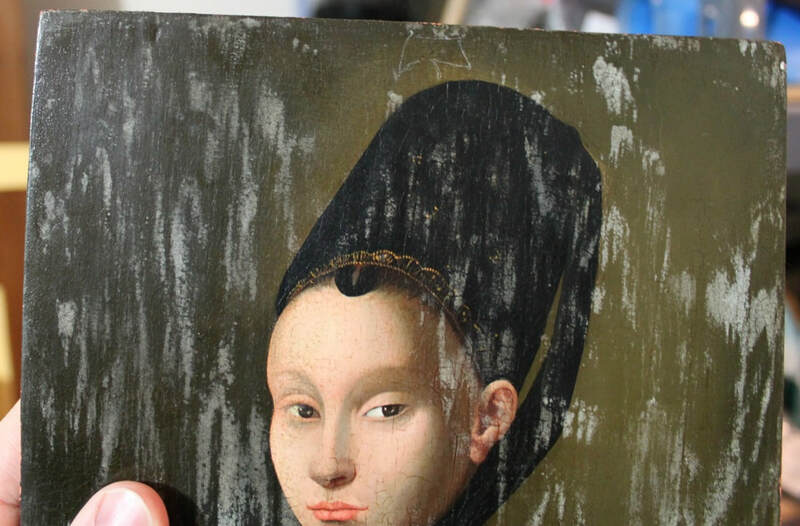 There appears no over-painting nor restoration. 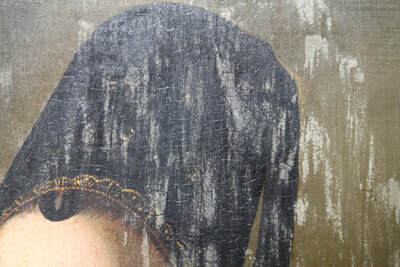 The painting has a web of what looks to be authentic craquelure. While the cradle attached to the back of the panel is newer wood, the panel itself is older. 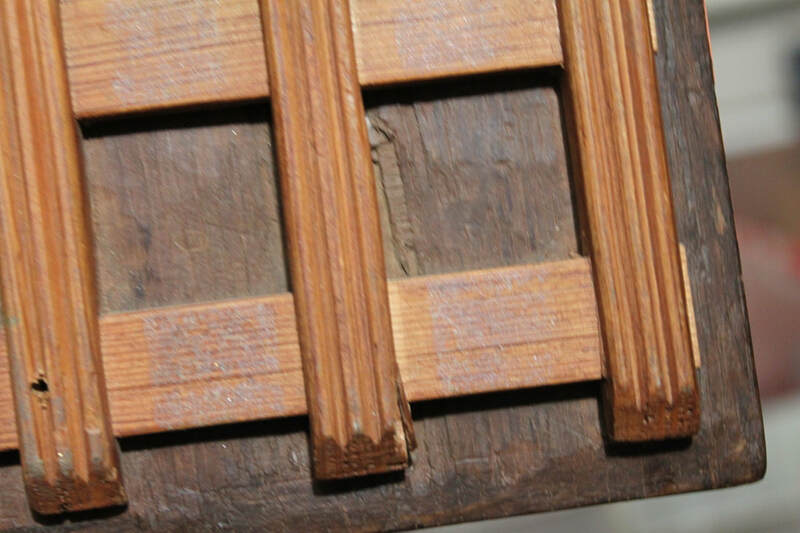 The panel is cut with beveled edges and has a dark golden glow. The front surface is uneven. The grain, corners, and nicks and gouges on the back have been worn smooth and hard with time and handling. 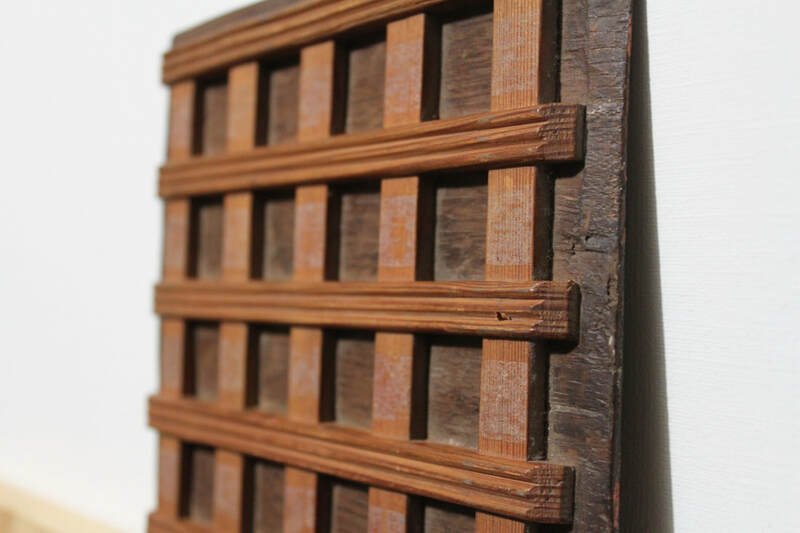 It seems to be made of oak and measures approximately 9.5 x 7.75 inches. 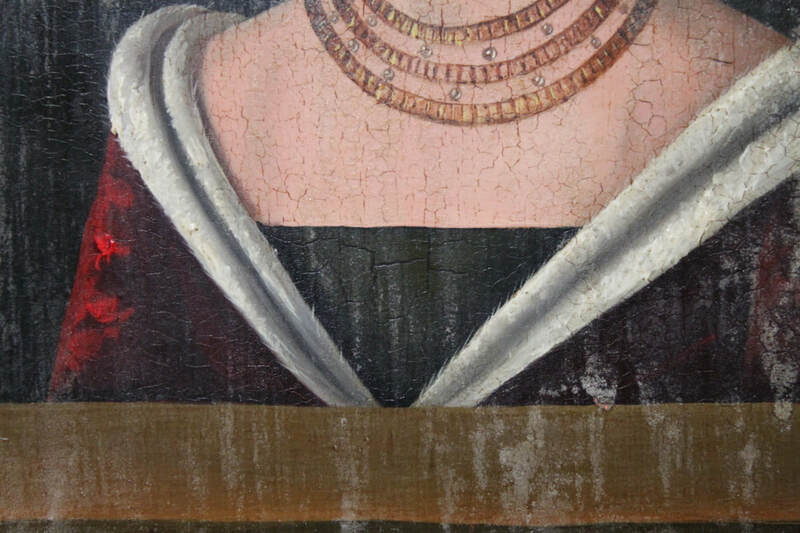 I'm not an expert on Early Netherlandish art. 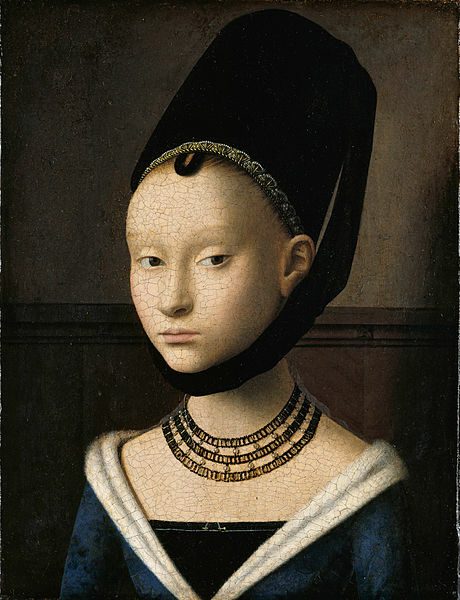 I do have a general understanding of the time and it's contributions, a few of the works, and a few of it's stars such as van Eyck and Memling. My knowledge lies more with Baroque and 20th Century painters, but I do know paint. I know line, value, color, form and a multitude of techniques for paint application. 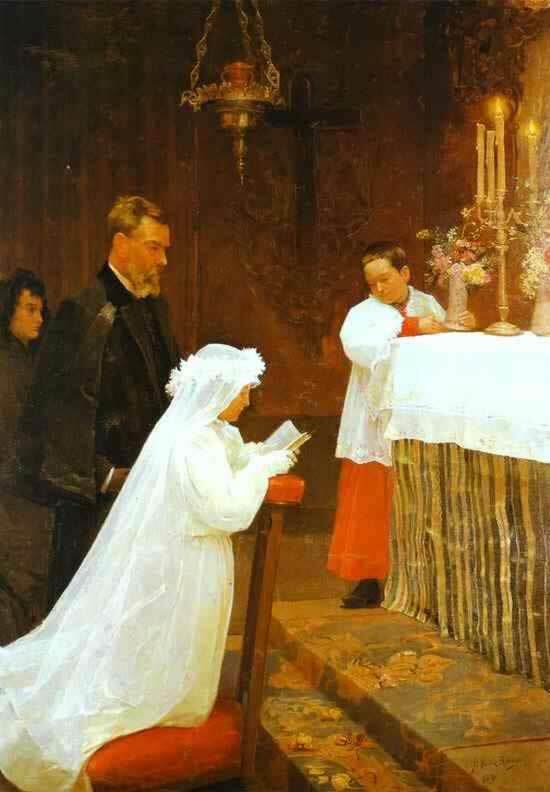 I've seen a lot of clunky copies, but this painting has unity, a delicate surety in execution. 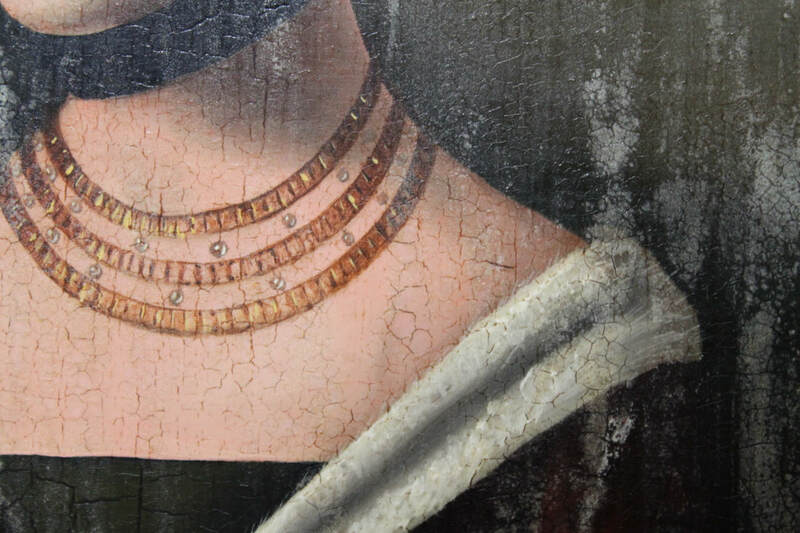 This fact and the craquelure make me wonder when this painting was actually made, and why it was made. Most of all, because this is a copy of a famous painting ... I wonder why the very specific element that makes it famous, was changed! 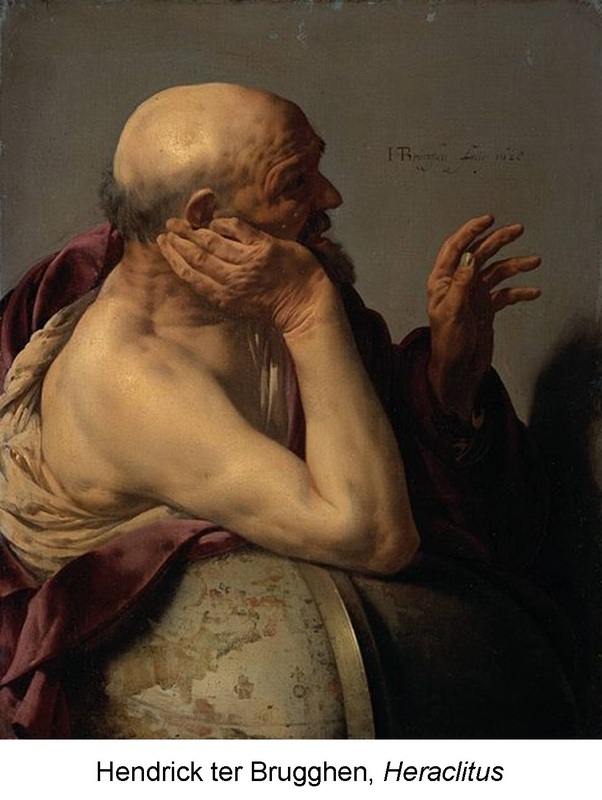 Petrus Christus is known for his unique methods of spatial construction including corner-space devices, and being a first painter in the North to use a rational single point perspective. 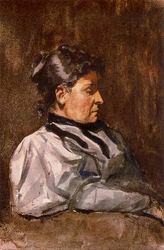 It was an older artistic convention when constructing a portrait to often place a sill between the sitter and the viewer, dividing that space. 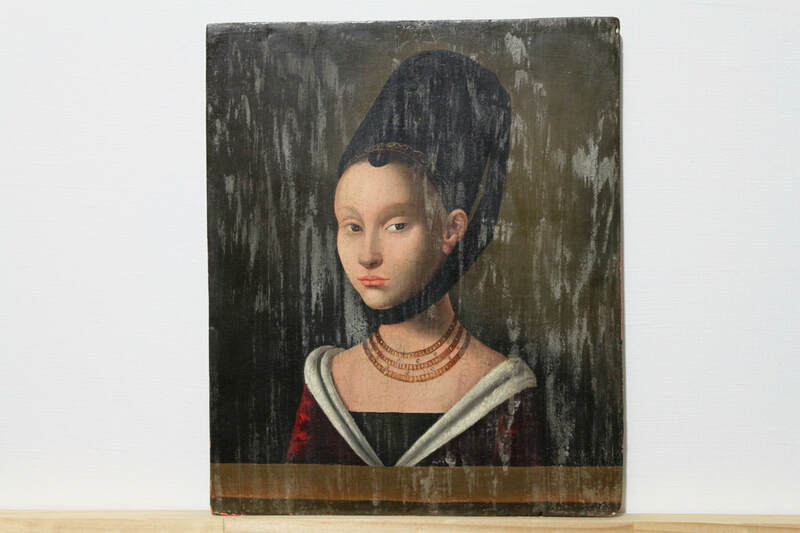 This painting 'Portrait of a Young Girl' is famous because it is considered the first painting made in which the sitter has been placed into a concrete physical space in our immediate proximity. Petrus Christus accomplished this by placing the girl into a room, and removing the sill which would separate us. 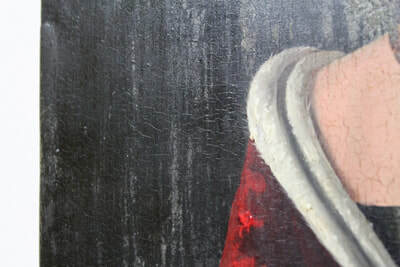 If this element contributes to the unique character of this painting, why would the artist that made my copy of this painting put the sill back between us and the sitter? This is the equivalent of copying the 'Mona Lisa', but giving her a frown. What is the point? The copy(in front of me now as I type this) does not seem like student work. Nor was it rushed. It is finely and delicately constructed. The drawing matches the original too precisely to have been sight-sized at some distance from the original. This copy was likely was made from an underdrawing that precisely matched the original. An engraving? Etching? A drawing from some book? 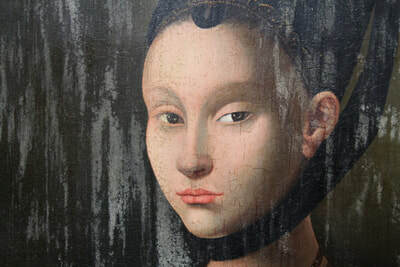 The provenance of the original painting is fairly direct, recorded first in the Medici collection in 1492, and entering the Prussian royal collection via Edward Solly in 1821. Below are more detailed images of the painting. Detail of Petrus Christus painting copy. When is a cow, not a cow? When one has never learned through visual perception, what a cow 'is'. Almost from birth, a human being starts to acquire visual information and process that information into abstract concepts of people, places, things, situations. Roughly one-third of our brain is dedicated to acquiring knowledge through visual perception; it's the most efficient manner through which knowledge is acquired. There are approximately 30 different cortical areas of our brain that handle a different aspect of visual processing such as "line" or "color" or "movement". The visual brain continually acquires information, discarding some, searching for constancy, retaining essential information and comparing it to stored 'records' of all prior knowledge obtained. Plato theorized that particulars were formed from ideals. We now understand our brains work in opposite: ideal concepts are abstracted from particulars. Consider for a moment the cow in the upper right corner. If a human being is born blind and stays blind, they will never understand the reality of what a cow is in the same way that a seeing person understands that cow-reality. Assume this person blind from birth is now 10 years of age, and their sight is suddenly restored. 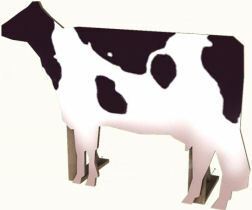 What will they see when they look at this cow upon gaining their vision? They will not see a cow. Only patchwork shapes. They will have no knowledge of what the shapes are, as there is absolutely no concept or 'meaning' for a cow for them through visual perception. The same for a real cow standing out in a field. The cow and everything in the field will appear as so many lines splotches and blobs. There is no innate common knowledge of a cow. In human knowledge, a cow does not exist outside a human brain's acquired knowledge of it. The form and meaning of a 'cow' is learned in our brain. The "essence" of a cow is acquired. In 2011 it is a neurobiological doctrine that ideal forms do not exist without a brain. Not cows, not cubes, not spheres, not triangles. "So what? ", you may ask. The fact I can, in 2011, state this conclusion reflects a new understanding for an important and long argued philosophical question about the nature of human knowledge, therefore "truth" and "meaning". 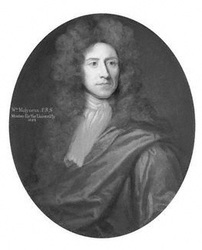 In 1688, the philosopher John Locke received a letter from one William Molyneux, a scientist and politician, in which a question was put to Locke regarding a very specific problem. Prior to the 21st century, this question was an open riddle whose outcome carried the conclusion for one or the other of two opposing views of epistemology. This question caused much debate through the years. William Molyneux's wife became blind not long after they were married. His scientific work involved optics, and he wrote a treatise on optics and the psychology of vision called Dioptrica Nova (New optics) (1692). A few problems in optics at the time surrounded reconciling theories about light and actual perception. Optics showed the inversion of the retinal image, but we perceive it right side up, why? The retinal image is flat, but we perceive distance and depth, why? Problems like that. Earlier theories, such as with Descartes, had imagined that the answer to these problems was some innate mechanism in which the ‘soul’ turns the image right side up, and that unconscious ‘natural geometry’ accounts for 'depth' perception. Apparently Molyneux was not satisfied with these Cartesian or Rationalist answers. Likely while writing Dioptrica Nova, Molyneux read an essay by the philosopher John Locke, published in 1688 called “An Essay Concerning Human Understanding. In this essay Locke had theorized that someone who did not possess a particular sense could never in any way be familiar with the ideas, or realities, associated with that sense. Ideas acquired by a singular modality would not be the same as ideas acquired by multiple modalities. Color is one example. Without the sense of sight, a blind person would never be able to understand the idea or meaning of color, even with all other senses intact. Simply put, the question posed to Locke asked that if a person who had been born blind and had learned to distinguish physical form such as cubes and spheres only by touch and name, were suddenly to regain their eyesight and SEE, would they be able to immediately recognize these familiar objects and distinguish these objects by sight alone? The answer to this problem carries tremendous weight. John Locke was an Empiricist. In its extreme view, Empiricism believes that when you are born the brain is a “tabula rasa”, a blank slate. The empiricist takes a position there is no such thing as a common rational idea or intention that exists as innate human nature, and that all knowledge and understanding is primarily acquired through the senses. Locke believed that we could not know the essence of things beyond the boundary of sense data, or the causal basis for the data we perceive. Locke offered that there is simple knowledge', that is knowledge acquired directly from experience in the world and knowledge that is simple is itself irreducible, such as the properties of “round”, “hard”, “and shiny”. Locke believed that all 'complex' knowledge was then constructed, or abstracted, from the particular concepts of simple knowledge into increasingly complex concepts of contingent particulars. Empiricists believe that any knowledge acquired is done so only through our senses and that experience acquired thus is the ultimate primary source of all concepts and knowledge. Any belief outside this as to causation, is 'super added'. Even belief in an expectation for causation(as in God) was theorized to be learned from experiential genesis. 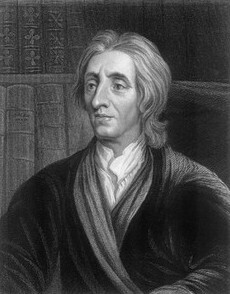 The predominately accepted theory of knowledge in Locke's time was Rationalism. There are a few flavors of Rationalism, but at the extreme polarized view to Empiricism, Rationalism supports the belief that knowledge is realized by means other than sensory experience. Rationalism believes that we are born with innate concepts and knowledge that are either part of our nature or given to us by God, and that sensory experience only realizes these innate truths, it does not provide them. If a cube and sphere are innate objective concepts independent of sensory learning and only realized by our senses, then a person should be able to tell the difference upon seeing them without learning them. So you can imagine the impact an answer would have provided to the course of philosophy had Locke been able to produce an actual experiment with a human being to answer Molyneux. The predominant problem in realizing an actual answer to Molyneux's question was a lack of subjects. It's been estimated that in one thousand years less than twenty persons blind from birth have had their eyesight restored. In 2003 MIT Professor Pawan Sinha initiated a program for children in India who suffered from curable congenital blindness. 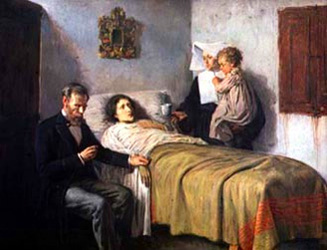 These patients, upon having their sight restored, could not immediately identify objects through the sense of vision. The forms these objects represented, did not exist to them. If it is not obvious by now, this discovery also speaks to the 'subjective' and 'objective' in Art. On one end of the spectrum some people believe that all meaning derived from Art is subjective and there are no real meanings beyond subjective contextual interpretation, and so there is not 'truth' to art, only individual experiential meaning. On the other end of the spectrum some believe that Art represents or is derived from objective truth and meaning, and if there is truth, so there must be rules or principles associated with that objective truth. New revelations from brain science studies have been creeping into the broader academic arena this last decade. A review of the American Society for Aesthetics articles will show various articles concerning brain science and aesthetics. Professor Pawan Sinha's work is only one example for how brain science will likely have a profound effect on the humanities and the teaching of art theory and aesthetics this coming century. While most artists I know seem pretty comfortable with their own current belief in the subjective/objective qualities of Art, it's possible that our understanding for what is subjective, and what is objective, might again be re-ordered. So who wins, the viewpoint of Empiricism or the Rationalism? In practice, many philosophers take one or both of the positions depending on the issue discussed. Immanuel Kant in "Critique of Pure Reason" synthesized a position inclusive of both Empiricist and Rationalist ideas called Transcendental Idealism. It's been suggested that while theorizing about the 'mind' that Kant, and later Hegel, developed some conclusions that reflect how our brains actually work according to our current understanding of the brain. For instance, Kant surmised in his "Transcendental Aesthetic" that space and time are empirically real, and that we gain an understanding of objects through sensory input such as the visual observation of those objects in space and time; spatial, temporal, motion. The importance of these elements is observed in the above video as the subject is shown learning to 'see'. The 21st century Holy Grail quest is the pursuit for an understanding of consciousness. Many people are working together around the globe employed in this quest. A few weeks ago, I introduced the Charlie Rose Brain series. Below, you can view excerpts from episode two of the series, discussing visual perception. This round-table discussion features some of our most knowledgeable experts who are studying visual perception, Including Pawan Sinha. "WHY do you paint?" | "WHY DO WE SEE?" 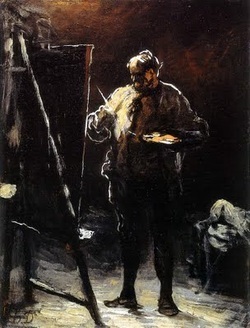 Daumier, The Painter at His Easel, c. 1870-75, Sterling and Francine Clark Art Institute. Between heaven and earth I write one line. On June 6, 2011, I posted the above question on my Facebook wall and invited painters from different parts of the world to share their thoughts. One hundred and forty four painters posted an answer. I have never had the opportunity to ask this question simultaneously of so many painters in so many different locations and from so many diverse backgrounds. I have posted each and every answer here where you can read through and gain a sense for any core sentiment running through the thread. For privacy, I've removed the painters names, "likes", or other Facebook information. It seems this was a very personal question and some decided to answer by private message rather than in public. I did not share those private answers in this post, but many were of similar content to what the other painters shared. Having this conversation with different painters through the years, a common theme seems to emerge that suggests a compelling 'urge' or 'search' of some kind that drives their effort. A need that must be met. This also seems to be an inward and self directed event more than an outwardly directed or altruistic effort, although those elements might contribute. Often referenced is a sense of 'timelessness', a 'zone', or some state of meditative bliss that is reached. 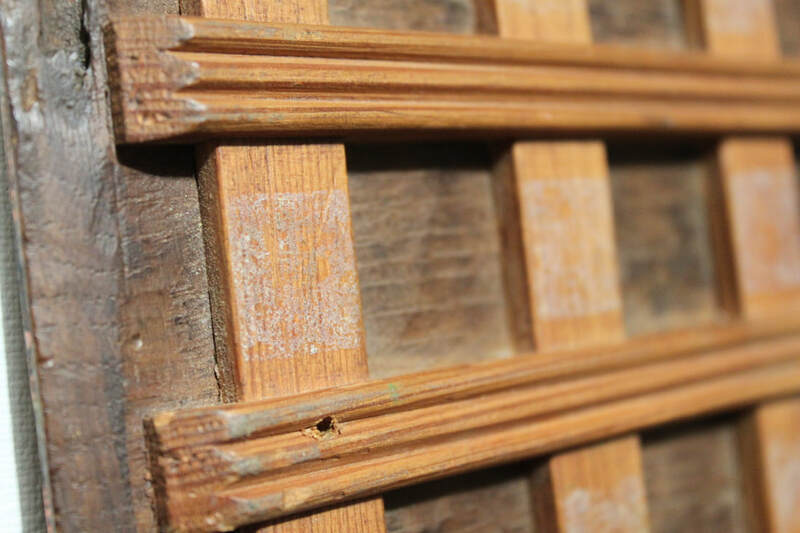 We won't explore the 'timeless' nature of art making in this article as I have a great deal of information to share, but you can read something here related to this plasticity of time. For centuries, the 'Point of Art' has been debated and pulled like taffy in different directions. Some candidates for the purpose of art have included mimesis, idealism, naturalism, beauty, communication, expression, social commentary, cultural reflection, etc. Recently, Darwinism has been suggested. 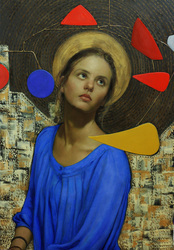 Philosophy, Theology, Psychology and the Sciences have all influenced how art is considered, valued, and produced. Thinking from people such as Plato, Aristotle, Plotinus, Aquinas, Kant, Hegel, Baudelaire, Fry, Bell, Beardsley, Greenberg, Derrida, Heidegger, Lyotard et al has had an impact on the Art World. Artists themselves such as Alberti, Vasari, Bellori, Le Brun, Reynolds, Whistler, Cox, Duchamp, Newman and others have contributed various points of view or theory. Religion, war, socioeconomic shifts, invention, discovery, politics and profits have all hammered away to shape how we think of art today. In 2011, the self-interest of the fractured, disparate groups from all genres, from all styles, are vying to be seen and heard and can make the conversation about 'What is Art' unwieldy. 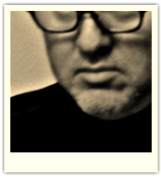 Yet, through all the nuanced debate or convoluted experimental directions one thing has remained constant: Art is made. Art Makers make art. And the consideration of art and it's assigned values all come after that fact. The consideration and valuation of art are "effect". Art Making is "cause". In circular fashion, the valuation and consideration do influence art making, but always and again, art making takes other directions. If the continuum of Art Making itself is the primary cause for the existence of the Art World, a singular question seems of most importance to me: what is the cause of Art Making itself? This seems the likeliest place where the truest purpose and intent of art can be found, and in discovering those answers we might newly consider art and perhaps it's aesthetic valuation. In order to keep transparent an attempt for the understanding of the cause of art making, it is necessary to divide the conversation and cull out the consideration and valuation influences of the Art Industry. For this approach, the non-maker's self-interest is better nullified from the discussion. So in order to begin this exploration for the cause of Art Making itself, I reached out and asked Art Makers why they make art. Other people in other fields have been asking some related questions. The 21st Century frontier; your brain. Today in the early part of the 21st century, we have the benefit of some of the most exciting and enlightening discoveries that might actually begin to answer questions that philosophy, psychology and other fields have been seeking to answer for years. In the last few years, neuroscience has discovered more about the human brain than in all of human history combined. The importance of the discoveries being made about our emotional apparatus, visual perception, intelligence, creativity and so many other workings of our brain cannot be overemphasized. The range of exploration and specialized focus on our brain is astonishing. Neuroscience, philosophy and psychology departments are undergoing a process of convergence in effort to discover answers about questions ranging from mental illness, drug addiction and disease to "what is consciousness? ", and "how does the brain view art?". Philosophy and psychology have had historical impact on the Arts, but discoveries made in brain science may affect the Arts for the course of this century in ways not yet imagined. When I talk with other artists, I'll sometimes hear facts quoted from old instruction books or art theoretical texts for which in 2011 we've acquired better information about. For example, a broader understanding of visual perception, it's mechanics and it's ultimate function, as well as a richer understanding of our emotional apparatus is available to us and can inform our artistic efforts. One approachable source for artists seeking to better understand some core mechanics behind their craft and that can also provide an overview and introduction to brain science is the Charlie Rose show. Charlie Rose has for some years now explored these topics in different episodes. Of particular value is the twelve part 'Brain Series..At the least, I recommend this first episode to better understand the immense overall impact brain science will likely have on visual art this century. When brain science is introduced into conversation, there is often an immediate suspicion that an argument for pure subjectivity or a materialist/reductionist position will be introduced. I know that some of my friends reading this are people of strong religious faith and conviction, and who create from that position of faith. I don’t believe that any of the information I’ll share here poses a challenge to faith of any kind. God, or your personal concept of a Higher Power, can always seem to take one step back from these discoveries and if God remains the source for your understanding of these workings, there is not necessarily a conflict here. This information need not be viewed as a materialist/reductionist argument. There is a great deal unknown. It can be said that since the advent of quantum physics science has moved from a more deterministic outlook to one of 'probabilities'. The enormous amount of what we do not know seems to grow larger with every scientific discovery, the Hubble Deep Field Survey being one example. It is not incontrovertibly decided what parts of reality are ontologically objective or subjective. Brain science can be said to be conducting an "epistemically objective search for what is ontologically objective or subjective." There are interesting developments, such as regarding emotion itself. While feeling states may be ontologically subjective, the emotional apparatus that all humans share and even share with animals, seems universal. As brain science is understanding 'components', some are suspected to be universal and 'hardwired' at birth, but how all these components work together is unknown; there is still no overall "theory of the brain". The hard problem of consciousness has not been unraveled. One influential philosopher who seems to be a materialist, but not a reductionist, makes the argument that consciousness itself is irreducible. Until the problem of consciousness is solved, and possibly even then, God remains as valid a possibility to the question of Meaning and Being as any other. Still, we do not need all of the answers to these deep mysteries in order to acquire an updated understanding of the nature of visual perception and a possible 'Point of Art' best described to date. Many of the recent discoveries of brain science can already contribute to our considering an answer for our starting question "Why do you paint?". Art of course, belongs in the subjective world. Yet subjective differences in the creation and appreciation of art must be superimposed on a common neural organization that allows us to communicate about art and through art without the use of the spoken or written word. In his great requiem in marble at St. Peter's in Rome, Michelangelo invested the lifeless body of Christ with infinite feeling - of pathos, tenderness, and resignation. the feelings aroused by his Pietã are no doubt experienced in different ways, and in varying intensity, by different brains. But the inestimable value of variable subjective experiences should not distract from the fact that, in executing his work, Michelangelo instinctively understood the common visual and emotional organization and workings of the brain. That understanding allowed him to exploit our common visual organization and arouse shared experiences beyond the reach of words. Professor Zeki has graciously given me permission to share with you two papers that provide some insight to the questions that are the title to this post. The first paper is titled "Art and the Brain" in which the very important question is asked, "Why do we see at all?" The second paper is titled "Neural Concept Formation and Art: Dante, Michelangelo, Wagner"
I remember the coolness of the air conditioning on my neck, my collar damp from the late June heat when I entered her house. It was a fine new home suitable for what I’d heard she deserved. When I finally found her resting against a wall, I was not disappointed. Her warm solid weight and her cool delicate laughter enchanted me from first glance. I let my gaze wash over her, trying to take all of her in and hear what she was saying. Others with me drowned out the message, and soon I left. I did not see her again for half a decade, and when I did I enjoyed the good fortune to live less than a mile from where she dwelt. For several years she was my secret pleasure. I passed by her daily and would often stop to visit. Countless hours were given to her, feeling her presence, letting myself melt into her. When the great hall she liked to hang around in was very quiet, I could smell the salt of her breath, hear her faint whispers and moans, and see her maker’s presence in her skin. As ends come, this one came abruptly, now twenty years gone since. I saw her once more a little over a decade ago. It was a hurried, unsatisfying visit as time was short and another lover demanded my attention and led me by the hand away from her as I stole one more glance over my shoulder. I think about her now and then, what she meant to me, and the inspiration she gave. Sometimes I think, “I must see her one more time", but I never do. We both are not getting any younger. Perhaps I will this June. Does Caravaggio's Style Reflect Nihilism? From time to time I hear some contemporary representational painters being labeled “nihilists". Often this accusation comes from other artists. 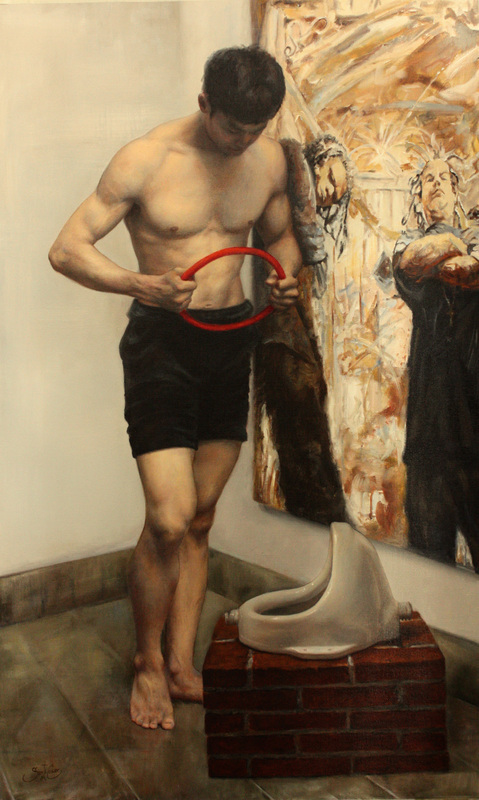 Painters like Jenny Saville or John Currin are frequent targets. When one artist is labeling another a “nihilist”, it's usually because the work they make appears in opposition to some value or belief the accuser holds dear.. Frequently the work being called such is not factually nihilistic. It may be exploitative, or ugly, or exploring some ugly or exploitative topic, This does not make it nihilism. Nihilism is a complex philosophical idea, but the label is often applied in Homer Simpson fashion to suggest that the art in question is in some way a lesser art than the accusers own value system represents. There are many flavors of nihilism; metaphysical nihilism, mereological nihilism, epistemological nihilism, probably even low-fat nihilism. Nietzsche and other philosophers have thought and written about nihilism a great deal. For purposes of this conversation, I’ll use a commonly understood form of nihilism: existential nihilism, which is the essential belief that life has no intrinsic meaning or value. Pessimism, skepticism, hopelessness, despair, recklessness, and rebellion are some traits found in an existential nihilist’s behavior. Existential Nihilism has been around a long time, as it reflects a part of the human condition. The darker, brutal, instinctual side of life and its by-products can contribute to nihilistic thinking and behavior. The ancient philosopher Hegesis(c.250 BC) argued that “miseries vastly outnumber pleasures”, so happiness is impossible. Therefore, he advocated suicide. ​Nihilism is not singular to our time or culture, and it is not a product of the 20th Century. ​Michelangelo Merisi da Caravaggio(1571-1610) is one of the celebrated artists in the canon of Western painting. He was rewarded and acknowledged in his own lifetime, fell into obscurity, and is today once again recognized for the high art that he produced. 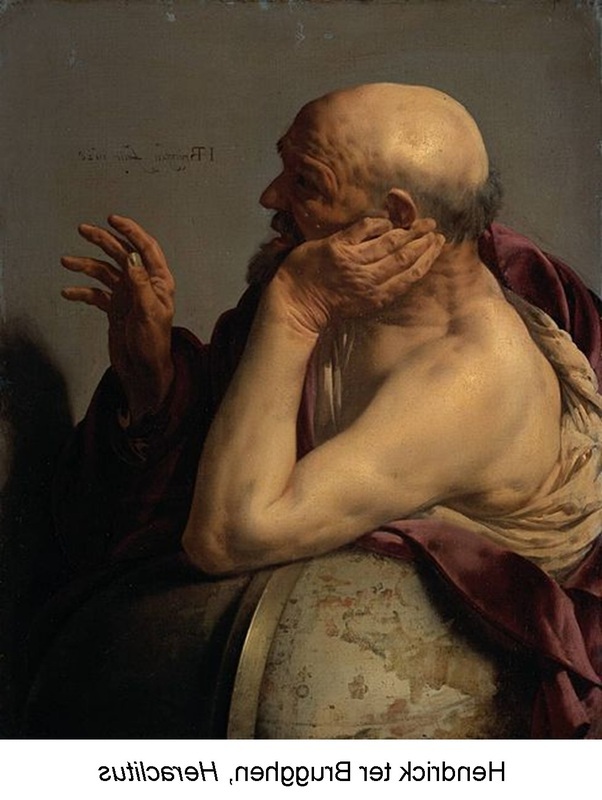 Apprenticing first with Simone Peterzano(a student of Titian) and later working in other studios, Caravaggio amplified the practice of Chiaroscuro painting to a level of expression that had profound impact on the Baroque era and many future painters. This extreme chiaroscuro painting is known as Tenebrism. Beyond chiaroscuro, if you study Caravaggio’s choices for the depiction of his subject matter you will notice nihilistic tendencies. A cheating cardsharp, worm-holes in his apples, his unique portrayal of the execution of John the Baptist with his own signature in the puddle of blood, and his self-portrayed execution and self-destruction in one version of David and Goliath. These were not usual conventions to include in these works and reflect Caravaggio’s world view. The visual clues are there: skepticism, recklessness, despair, hopelessness. A reality understood from how he lived, with "one foot in the light and one foot in the dark". In his early years Caravaggio ran the streets of Rome with a group of like-minded individuals who adopted the motto “Nec Spe, Nec Metu” which means “Without hope, without fear.” If there''s a better motto to express existential nihilism, I'm not sure what it is. In Rome, Caravaggio rejected the accepted viewpoint for art as perfect form and ideal beauty. He refused to employ these devices in his works or to convey a vision of divine perfection. 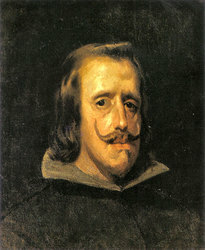 To the dismay and criticism of Classic standard bearer's such as Gian Pietro Bellori, Caravaggio refused to draw sculpture or copy master works. He used models from the street. He portrayed the immediate, the here and now. His self-portrait as "Sick Bacchus" is a clear denial of transcendent beauty and spiritual meaning. Bacchus, the eternal god of pleasure, is depicted by Caravaggio as sickly, dirty, raw, human. Pure visual nihilism. Was Caravaggio an existential Nihilist? The label can be applied and might fit more snugly than it fits other painters accused today. If Caravaggio can be labelled a nihilist whose paintings express actual nihilistic qualities, then it follows that magnificent art can indeed be nihilistic. This does not suggest that all nihilism is magnificent art any more than all beauty is magnificent art, but it supports the fact that powerful art is not about transcendence alone. I always get a kick out of seeing discussions about the Divine Ratio, phi, Golden Mean, or whatever numbers people use for hypothesized mathematical ideals for compositional theory. 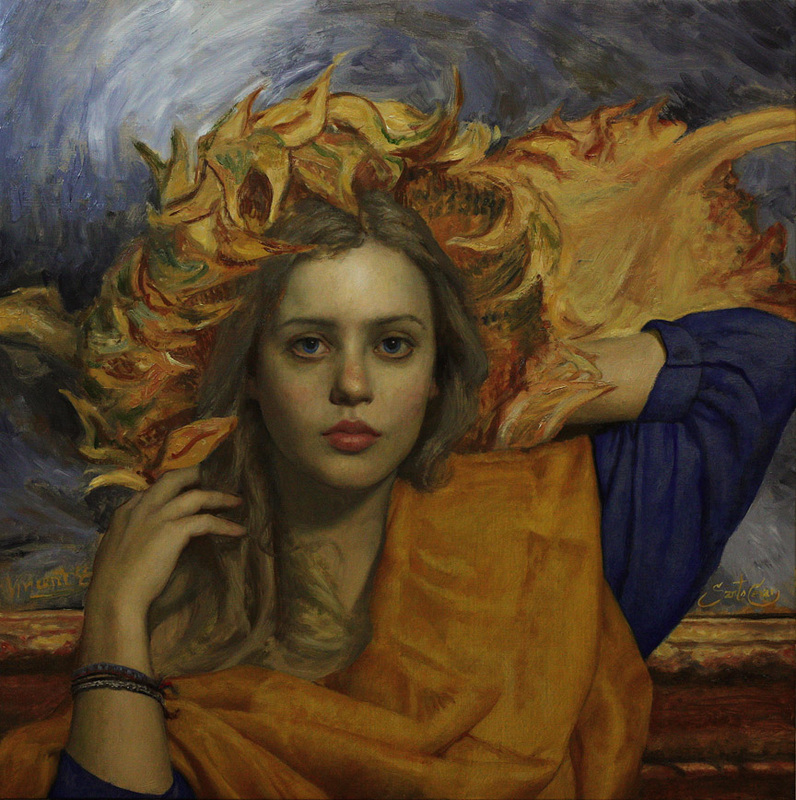 It's been a lifelong interest and while it is a very old subject and much has been written about it, you would be hard pressed to find contemporary artists who can name ten master paintings that actually use phi as a certain compositional element in the work. 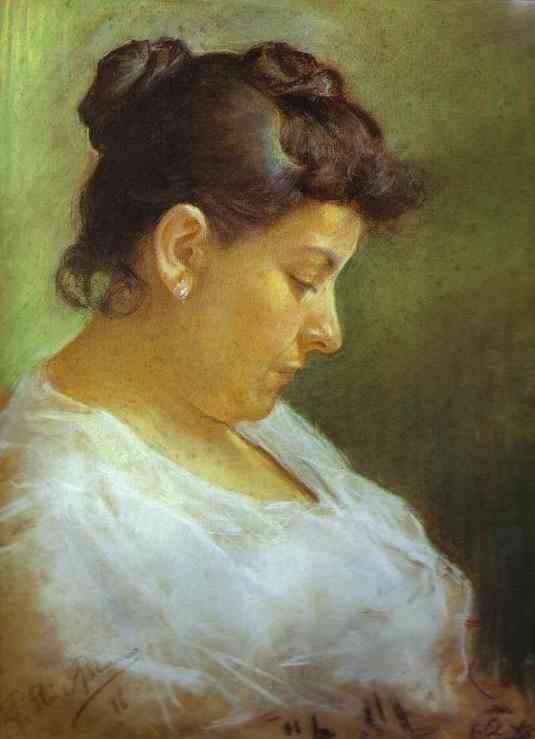 In fact, you might be hard pressed to find many of these paintings that actually exist. In recent history, the popularity of Dan Brown's book "The Da Vinci Code" has given rise to a renewed exploration of this magical irrational number. In some recent books written by talented artists who discuss classical technique, you will often find paragraphs and pages dedicated to the importance of the Golden Section. However, is this actual measurement, phi, really a key 'secret' in master paintings? Some contemporary literature that explores this subject is a book published in 2002 by astrophysicist and art aficionado Mario Livio called "The Golden Ratio". Livio became interested in the ratio while preparing a lecture on the "aesthetics of physics" and spent many years researching the origin of understanding and written history of this ratio, as well as the existence of it in our universe. Through two hundred and fifty plus pages, Livio shares the fascinating story of phi. With intellect and insight, he shares true, solid facts about phi. He painstakingly and scientifically dispels the myths, legends and hyperbole surrounding this number ( it is more than highly unlikely phi had anything to do with the building of the Great Pyramids, etc.). It's a fun ride through euclidean and fractal geometry, and touches on more recent discoveries such as the equally "peculiar" irrational number 1.13198824. "All the attempts to disclose the (real or false)Golden Ratio in various works of art, pieces of music, or poetry rely on the assumption that a canon for ideal beauty exists and can be turned to practical account. History has shown however, that the artists who produced works of lasting value are precisely those who have broken away from such academic precepts. In spite of the Golden Ratio's importance for many areas of mathematics, the sciences, and natural phenomena, we should, in my humble opinion, give up it's application as a fixed standard for aesthetics, either in the human form or as a touchstone for the fine arts." Albrecht Dürer, Piero della Francesca and Leonardo da Vinci, were gifted mathematicians as well as artists, the most active in mathematics being Piero. Pieros book "On Perspective" became the most important handbook of it's time for artists regarding the subject of perspective in painting. He also wrote two other books, one about the five Platonic solids, and one about the abacus. Luca Pacioli(the ‘father’ of modern accounting) translated much of Piero’s work from Latin into Italian. It was Luca Pacioli who wrote an important book about the Golden Ratio called "La Davina Proportione", The Divine Proportion (1509). Historians to this day debate for whether Luca plagiarized much of Pieros work as his own. Pacioli was a great "borrower" and his famous book "Summa" which captured all of the important mathematical knowledge of his time, reported heavily about "double entry accounting". Pacioli didn't invent that either, but he documented this system already in use by Venetian merchants. Luca Pacioli was passionate about the arts and he was sought to establish a mathematical ideal that could be used in the arts that would reveal to artists the “secret” of harmonic forms. Leonardo da Vinci was in Venice at the time Pacioli was writing his three volume treatise on the "Divine Proportion". Luca hired Leonardo as his illustrator. 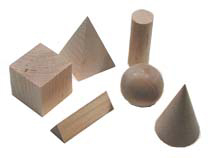 Da Vinci contributed many drawings of solids and polyhedra for the work. Pacioli's second volume of “Divina” attempted to apply this ‘sacred geometry’ to the human body and architecture and was largely based on the work of Marcus Vitruvius Pollio(70-25 BCE). Based on Vitruvius writings Renaissance scholars created further linkage between the organic and geometrical basis of beauty which led to the concept of the Vitruvian man, so famously drawn by Da Vinci. Contrary to popular misconception however, while the book describes “every sort of proportionality” that can be found in the human body, “Pacioli does not insist on the Golden Ratio as determining the ratio of all works of art. Rather, he specifically advocates the use of the Vitruvian system instead, which is based on simple (rational) ratios. That’s right; the Vitruvian man is NOT an example of the ‘Golden Ratio”. It is not based on the irrational number phi, it is based on RATIONAL numbers and proportions. While the Golden Ratio can be found, and is found in many things including humans and animals, there is a large variation in the real measures of these elements in specific individuals, and the proportion measured is often greatly different from the golden ratio,” ie it is NOT the building block of “everything”, only one of many. Albrecht Dürer knew Pacioli. 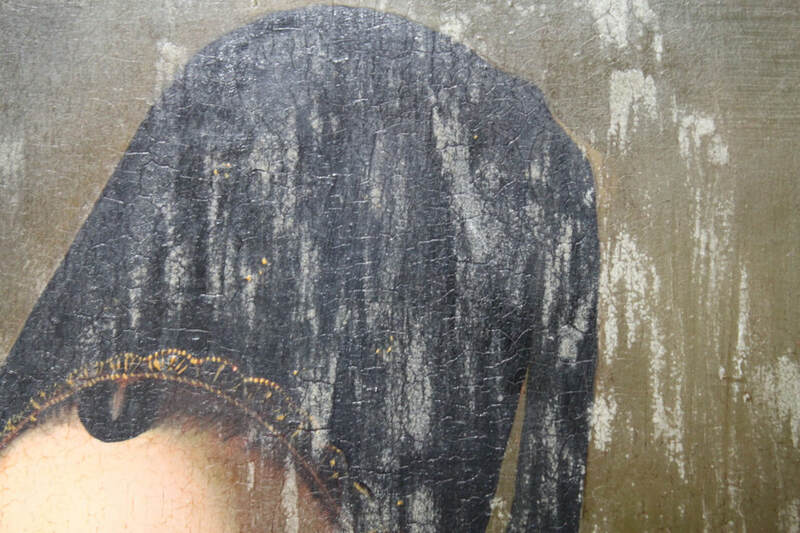 It has been speculated that the ‘pupil’ in the famous Barbari portrait of Pacioli is indeed Dürer himself. This is very possible as Albrecht Dürer knew Barbari as well. He published writing on mathematics and geometry, and some of these ideas did infuse some of his work. However, beyond Dürer, Da Vinci and Pacioli’s mathematical and artistic investigations into such things, not much of these ideas influenced visual art itself on any widespread basis in the 16th century. Pop open any great collection of Raphael’s works and you will see many examples of centered and circular composition. Among non-artists, Da Vinci seems to be linked the most to the idea of the Golden Ratio being used ‘secretly’. For years I heard that his painting “Madonna of the Rocks” was created using these “divine “measurements. However, while the focal points come close to phi, they come much closer to a RATIONAL number. It either IS phi, or it is NOT. Close doesn’t count. You don’t have ‘close’ in nature. Imagine a world of logarithmic spirals out of whack, of crooked seashells and pine-cones and roses and apple cores, all lopsided. Doesn’t happen regularly; either it IS phi, or it ISN’T! It also turns out that the first version of this painting he created was some years prior to his association and subsequent work with Luca Pacioli. The book goes on to explore much, much more regarding its appearance, or not, in music, architecture, etc. and the reappearance of the exploration of this idea in Academic art circles, and even in the 20th century. Dali and Seurat both painted works using it. If you look at those works, and compare them to a centrally composed painting by Raphael, ask yourself if you think they are really stronger or more powerful, or more beautiful. Personally, I prefer some of the Raphael’s if I am considering beauty alone. I would close with this request; show me a master work that for certain was composed with phi; show me one of YOUR works composed with phi. Show me one with the actual focal points plotted at phi; not a work that might be ‘close’ to phi. Close means it might be simply a rational number, or some other irrational number. I love the idea of phi. It is fascinating. It is infused in our universe and appears many places. However, it is not alone. As science and mathematics progress, they are discovering other peculiar irrational numbers. Livio’s discussion of fractal geometry itself is worth the price of the book. In sum, it is worth remembering that beautiful, harmonious, powerful or arresting composition can come from many simple ratios, balance and shapes; it can come in many forms. Mario Livio’s “The Golden Ratio: The Story of PHI. The Worlds Most Astonishing Number” is a wonderful education for any artist seeking further understanding of this subject.